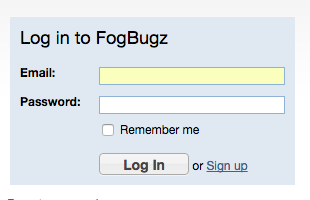 Fogbugz is all about helping you get your work done without distractions. 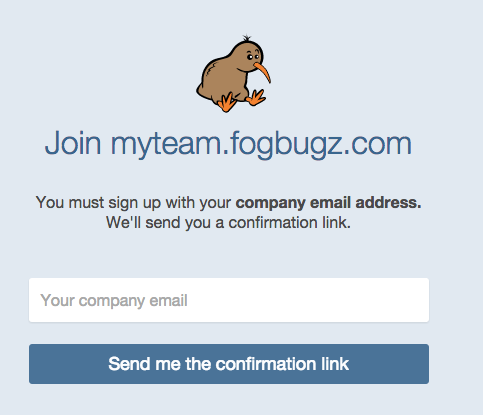 So, when your team grows, why should you take time out of your day to manually add new users to FogBugz? Now, you don’t need to! 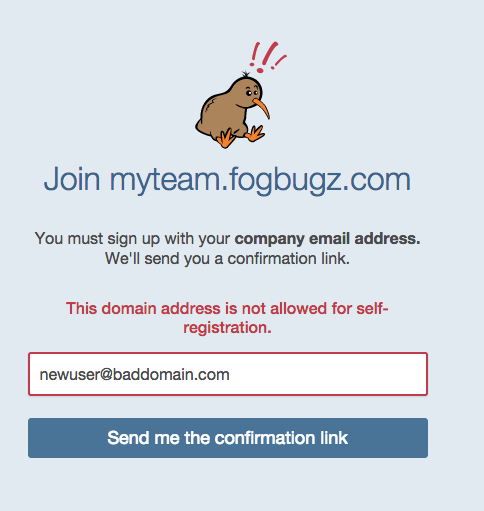 Admin users of FogBugz can set up their account such that anyone with a certain email domain can add themselves to FogBugz. 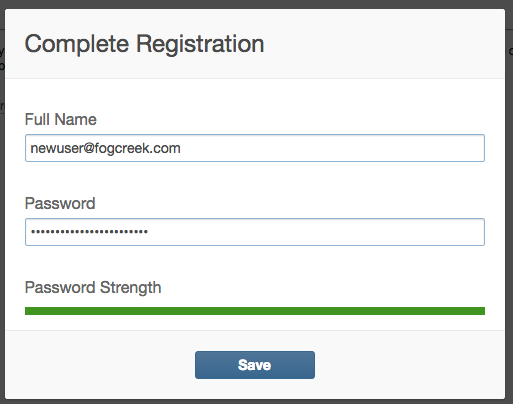 This is done by going to the Gear menu > Users, and adding domains to the Self-Registration area. When entering multiple domains, separate them with commas. which will then show whether or not they were able to be added. Finally, the user will receive a confirmation email, which will allow them to log in and set up their name and password! But What’s This Gonna Cost? FogBugz is billed in tiers. 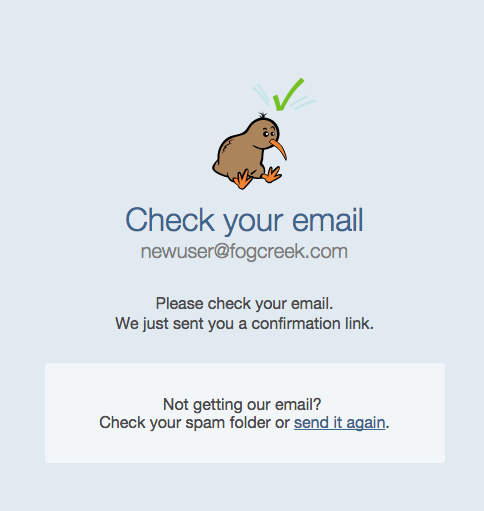 If new users signing up is bumping you to a higher pricing tier, we’ll be sure to email you to let you know. Monthly billing: We send an email 10 days before you’re set to be billed, alerting you to the pricing tier you’re in (same or different). If the tier changes with less than 10 days until you’re billed, you will receive an email after the user causing a pricing change has added themselves. Annual billing: Tier increases occurring less than 30 days before billing function the same as monthly billing. Tier increases with more than 30 days until billing will be prorated for the portion of the year from when they are activated, and will be billed 30 days after they occur. An email will be sent 10 days in advance to alert you to the billing that will occur. Any tier changes with less than 10 days from that advance email will trigger another message, like in the monthly billing example. wait…huh? Basically, we bill you for any automatic tier increase that’s needed 30 days after it happens or on your next normal billing date, whichever comes first. Still lost? Contact us!